First applied in the 1800s, metal fillings were the ideal treatment for cavities. While better than past choices, metal fillings had lots of problems. Although some people worry about mercury poising from their fillings, the unattractive appearance of silver fillings is the major reason most people in Columbus, OH want to get rid of their old fillings. To improve the health and appearance of your smile, DentalWorks - Easton replaces older fillings with tooth-colored fillings. This is one of the many cosmetic dentistry treatments our skilled team of dental professionals perform. Switching old fillings with modern fillings can be done by itself or in addition to other treatments, like teeth whitening or veneers, for a smile makeover. If you're concerned about your silver fillings, read on to learn about the problems with amalgam fillings, the advantages of tooth-colored fillings, and how to trade your old fillings for a better smile. Older fillings were generally made with an amalgam (combination) of metals, like mercury, silver, zinc, tin, copper, and more. Mercury is an important part of the amalgam since it makes the metals pliable so it can fit into the uneven texture of the tooth. Until recently, many patients who had a cavity, received a metal filling to seal off the decayed area. However, there are now many concerns with this kind of filling leading people to think about swapping them with modern fillings. An amalgam tattoo happens when the material seeps into the jawbone or gums. While an amalgam tattoo is generally not a problem, it can lead to an unwanted blue or gray stain on the gums and tooth. When metal fillings were first used, the quantity of mercury in the metal mix could be high enough to cause mercury poisoning. However, this was quickly corrected and is very rarely a problem for modern patients. In contrast to composite resin, silver fillings do not bond as well with enamel. This makes it possible for bacteria to get under the filling and turn into another cavity or infection.??????? ?????? ?While mercury leaking from a filling is rare, it can happen and breach the placenta. To avoid complications, dentists do not use amalgam fillings to patients who are or may be pregnant. The most common reason people want to get their metal fillings switched with tooth-colored fillings is that they don't like having visible fillings. While fillings are usually on the pre-molars and molars, they can still be visible when you yawn or laugh with your mouth wide open.??????? Some patients may discover that they are allergic to the metal used in their fillings. While rare, an allergy to the mercury in amalgam fillings is possible.??????? Before an amalgam filling can be placed, a large amount of enamel needs to be removed. This makes the tooth weaker and more vulnerable to decay.??????? When you have a cavity, your dentist can use a tooth-colored filling to repair and strengthen the tooth. A tooth-colored filling is made from a composite resin material to seal the tooth after the decayed area has been eliminated. Shaded to match your teeth, a tooth-colored filling maintains the beautiful look of your smile. A limited amount of enamel needs to be removed before a tooth-colored filling is placed. In contrast to silver fillings, composite resin fillings adhere better to the enamel for a greater protection. In addition to being used for cavities, composite resin can also be applied to improve the appearance of your smile. Known as bonding and contouring, the composite resin material is carefully applied to fill chips, hide discoloration, and decrease gaps. Since composite resin can be shaded to match your teeth, tooth-colored fillings can be used on both your visible and back teeth to give you a seamless result. Composite resin fillings allow you to smile and laugh with confidence. With good care, a composite resin filling can stay on your tooth for a long time. When you have your oral exam, your dentist will check your filling and tell you if it needs to be re-applied. Should you decide to upgrade your silver fillings, schedule an appointment with a dentist in Columbus, OH to create your treatment plan. 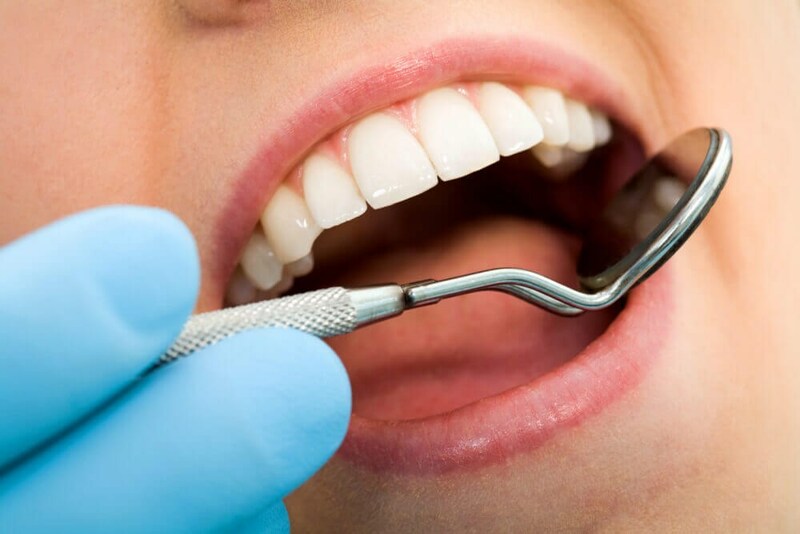 At DentalWorks - Easton, we offer different levels of sedation dentistry to keep you relaxed during your appointment, even in case you have dental fears and anxieties. After your mouth is numbed with local anesthesia and any additional sedation has been administered, a high-powered suction device along with other special tools are used to remove the amalgam filling(s). Next, your enamel is cleaned and dried so the new composite resin filling can be applied. The composite resin filling is then set with a light before it is polished for a smooth finish. Before you leave, your dentist will talk to you about taking care of you new filling(s). To prevent new fillings and other dental problems, you should establish a good home oral care routine with proper brushing and flossing at least twice per day. If you need help with technique or you want product recommendations, please ask our staff during your visit. In addition to your home oral care routine, you should go to your dentist at least twice a year for an exam and professional cleanings. At your oral health exam, your dentist can check the wear of your filling(s) to decide if they need to be re-applied. If you've still got old, amalgam fillings and you'd like to trade them, contact our office in Columbus, OH. With a seasoned staff of dental professionals, DentalWorks - Easton can swap your old, amalgam fillings with modern tooth-colored fillings for a more attractive result. We can also discuss other cosmetic dentistry treatments we offer that can be part of your custom smile makeover plan. We take pride in helping our Columbus, OH patients get their ideal smile through advanced care and treatments.